Provide members information on what’s happening at national and government level on matters that affect them. Support members to do the job they need to and provide the services they need to offer by working collaboratively with others on a range of capacity-building projects. Advocate on issues affecting member organisations and representing them. 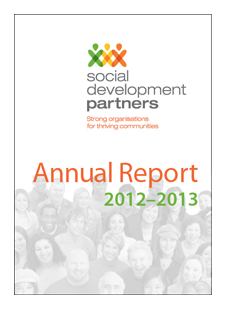 Our work helps to build strong community organisations, and in turn, thriving communities. We have a membership base of around 100 community organisations, covering paid staff, volunteers and branches or their member organisations. We encourage community organisations to join us, participate and be involved—sector strength comes from a collaborative voice! We work collaboratively with a range of organisations to achieve what we could never do alone. To enhance the contribution of community organisations in building strong communities. Please contact us if you require a comprehensive history of the NZ Federation of Voluntary Welfare Orgnaisations, the forerunner to Social Development Partners.